In 2009, over 80,000 ha of the Panama Bay Wetland became a National Protected Area. However, in May this year, legal protected status was withdrawn because of pressure for urban and resort development, including hotels and golf courses. At the same time, regulations on mangrove cutting have been relaxed. Developers are reported to be at work within the Ramsar site boundary. A coalition of 40 groups, including our BirdLife partner, the Panama Audubon Society, continues to push for protections to be reinstated. (Nature Canada has contributed more than $10,000 to this effort, thanks to our members' support.) The Panama Bay is a critical migratory stopover site along a chain of wetlands stretching from Alaska through British Columbia and down into northern South America. 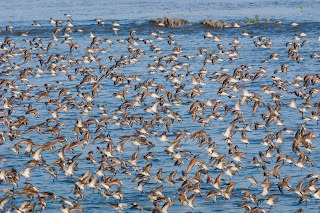 It provides key migration stopover habitat for two million shorebirds from the United States and Canada annually, making it one of the most important shorebird sites anywhere in the Western Hemisphere. 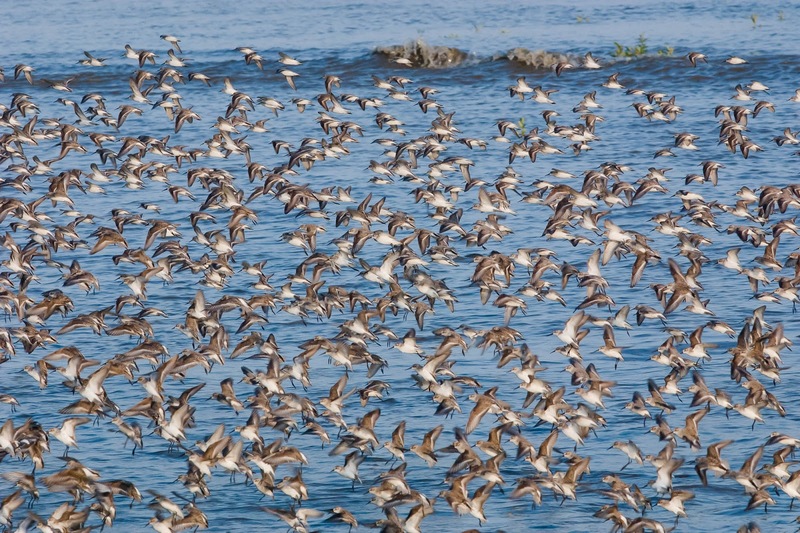 Each fall, virtually the entire population of Western Sandpipers travels through Boundary Bay in British Columbia, down along the Pacific west coast to Panama Bay. Both bays are globally significant Important Bird Area. Through the Important Bird Areas (IBAs) program, we are working with BC Nature and its partners to conserve the Boundary Bay IBA for future generations of birds and people, and Nature Canada has worked with PanamaAudubon Society for nearly a decade to conserve Panama Bay. Because of this site's importance, the Bay of Panama has also been recognized as a Wetland of International Importance in 2003 under the Ramsar Convention, and designated a Site of Hemispheric Importance by the Western Hemisphere Shorebird Reserve Network. Our U.S. BirdLife partner, the National Audubon Society, has an action alert online you can use to send a letter to Panama's government asking them to save the Panama Bay Wetlands. [two_third] Do you like maps? Then you’ll love this news. The first global inventory of important sites for the conservation of migratory marine species is being launched today at COP11 in India. It’s called the e-Atlas of Marine Important Bird Areas, and it promises to provide essential information for a whole raft of people from conservation practitioners and policy makers, to fisheries managers and energy sector planners (think wind farms, gas and oil exploration and drilling). The e-Atlas, a product of BirdLife International, covers 3,000 Important Bird Areas (IBAs) worldwide, and 325 IBAs in Canada, including 124 marine IBAs. It is the result of six years of effort that, to date, has involved around 40 BirdLife Partners, with the world’s leading seabird scientists from inside and outside the BirdLife Partnership, in collaboration with government departments of conservation, environment and fisheries. Data on Canada’s IBAs is based in part on work of Canadian BirdLife co-partners Nature Canada and Bird Studies Canada as part of our Important Bird Areas program, which aims to identify, monitor and protect a global network of IBAs for the conservation of the world’s birds and other biodiversity. In addition to the globally significant IBAs profiled in this new Atlas, we’ve identified nearly 300 other IBAs that support nationally significant bird populations. The grand total puts Canada’s Important Bird Areas at roughly 600; you can learn about all of them at www.ibacanada.ca. An e-Atlas on marine sites for migratory species, particularly birds, has been on many a conservationist’s wish-list for some time. Globally, seabirds are one of the most threatened groups of birds, though Canada is somewhat of a haven for many species. Given the vast distances seabirds cover, the long periods they spend at sea and the many threats they face there, identifying a network of priority sites for their conservation is vital to ensure their future survival. Bordered by three oceans, with the longest coastline in the world and more than 52,000 islands, Canada supports about 15 million breeding seabirds, the most common being Leach’s Storm-Petrel, Thick-billed Murre and Cassin’s Auklet. In addition, there are millions of migrants, mostly shearwaters, which breed in the Southern Hemisphere and visit Canada during our summer. According to the State of Canada’s Birds 2012 report, which Nature Canada published with several conservation partners, oil at sea, both illegal discharges and major spills, poses an increasing threat to Canada’s seabirds. Oil and gas developments are concentrated on continental shelves around Canada’s coasts, which are also the prime feeding areas for many birds and fish. While breeding, seabirds aggregate in huge colonies, sometimes more than a million birds, and these vast concentrations are extremely vulnerable to marine oil spills. The e-Atlas includes profiles on 30 sites along the Northern British Columbia coast that could be exposed to oil pollution from increased tanker traffic and an impossible-to-rule-out oil spill if the Northern Gateway Pipeline project is approved. Nature Canada and BC Nature are joint interveners in the Joint Review Panel hearings examining Northern Gateway, which proposes to carry tar sands oil from Alberta across the Rockies to the northern B.C. port of Kitimat. Giant tankers - some nearly as long as the Empire State Building is tall - loaded with crude oil headed for Asia would navigate through the pristine and rugged northern B.C. coast at the rate of about one every second day. That's bad news for B.C. wildlife; the central and north coast of B.C. is a globally important area for marine birds, other marine animals and fish. Collectively the IBAs there support approximately one half (1.5+ million individuals) of the world’s Cassin’s Auklets, about one third (0.5 million) of the world’s Ancient Murrelets, about one quarter (300,000) of the world’s Rhinoceros Auklets, and up to 10% of the global population of Pelagic Cormorants. Other breeding seabirds that exceed global importance thresholds within the Gateway project area include Leach’s Storm-petrel (up to 2% of the global population), Fork-tailed Storm-petrel (up to 3% of the global population) and Pigeon Guillemot (up to 2% of the global population). By the way, none of the bird populations within these IBAs is acknowledged as a “key species” and potential impacts on these populations were not assessed by Enbridge in its pipeline proposal. Several globally threatened, globally near-threatened and federally and provincially listed seabird species regularly occur as non-breeders, including Short-tailed Albatross, Laysan Albatross, Black-footed Albatross, Pink-footed Shearwater, Buller’s Shearwater, Sooty Shearwater and Yellow-billed Loon. Earlier this week, staff at Nature Canada set out to explore our own backyard, so to speak. With International Migratory Bird Day coming up this Saturday, the avid birders and beginner birders on staff wanted to welcome the birds back to our shared home. Luckily, the perfect spot to go bird watching is just up the river from our office in downtown Ottawa at Lac Deschênes Important Bird Area (IBA). Spanning the provinces of Ontario and Quebec, this IBA is not a lake as its name suggests, but an area that covers the shorelines of the Ottawa River from Deschênes Rapides to Innis Point and the river in between. On our visit, we were treated to the sight of Canada geese, Common Tern, Mallard and a rare sighting of a Northern Parula . We joined a group of well-equipped bird watchers who were gathered around the tree where the Parula was perched. As a novice birder, I thought this was quite a sight. A dozen people fawning over a tiny creature! But in a world where life seems to move at warp speed, the Parula gave us a moment to stop and appreciate the small wonders of nature. It was a beautiful thing. Millions of people watch birds from their yard every year. The spring and fall are particularly good times to go bird watching. Unusual species can turn up, stopping over to rest and refuel before continuing their journey. This spring marks the 20th anniversary of International Migratory Bird Day (IMBD), an occasion where people across Canada and the U.S. celebrate birds through bird walks, bird banding, festivals and a whole host of activities. Check out our events listing webpage to find out if there’s an IMBD event near you. If you’re not attending an IMBD event, but still want to welcome home our birds, try following one of our 12 tips to help birds. Small changes in your day-to-day life can make a big difference for our winged friends! For those who are in Ottawa this month, be sure to join us for a screening of The Big Year, a comedy about birding starring Steve Martin, Jack Black and Owen Wilson. The movie starts at 7:30pm and will be shown at the University of Ottawa in English with French subtitles on May 16.If you’d like to get out into nature for IMBD, Ted Cheskey, manager of bird conservation for Nature Canada, will be leading a bird walk at Lac Deschênes IBA with the Ottawa Field Naturalists Club (OFNC) on May 12. The following week, OFNC will be hosting Salvadora Moralez, a bird expert from Nicaragua. Salvadora will be giving a talk about birding and ecotourism in Nicaragua as well as accompanying the OFNC on a walk of Mud Lake conservation area. The birds that spend the summer in Canada, over-winter in warmer countries like Nicaragua.Learn more about the birds we have in common with Nicaragua by joining Salvadora and the OFNC! Contact tcheskey@naturecanada.ca for more details. The birds are back! After spending the winter down south, migratory birds have started popping up in backyards, parks and forests across Canada and the United States. They're making themselves seen and heard just in time for International Migratory Bird Day (IMBD), which is celebrated by most people in the U.S. and Canada on the second Saturday of May. Our migratory birds – some of them traveling thousands of kilometers from their wintering grounds – are real survivors. Between 30% and 60% of these birds fall victim to prey and challenging weather conditions. How can you help the ones that do make it back? We have twelve tips to help these troupers now and for the rest of the time they’re with us. You can share these tips with your friends and family by downloading and printing colourful bookmarks with a selection of tips in both English and French. Prevent Window Collisions Birds will fly into windows because they see nature reflected in the glass. Make your home or cottage windows visible to birds by applying UV reflective window decals, or strips or blocks of tape, or hanging exterior netting in front of particularly deadly windows. In the spring and fall, turn off exterior lights and draw curtains at night to prevent migratory birds from colliding with windows. For more information on how you can help, visit Fatal Light Awareness Program (FLAP) and the American Bird Conservancy. Protect Birds from Pets Keeping your cat in a controlled space will prevent it from killing birds. Unleashed dogs in natural habitat can harm birds too, disturbing, chasing, and even killing them. Migrating birds and young birds just out of the nest are especially vulnerable. Create a Healthy Yard for Birds Avoid using pesticides and herbicides in your yard as they are harmful to birds and the food they eat. Provide birds with food, nest sites and cover by planting native plants. Leave leaves under trees and shrubs – they make excellent foraging sites. Provide and maintain a source of clean water and keep feeders clean and disease-free by changing seed regularly. Check out these tips on how to make your yard bird-friendly, plus detailed information on what types of plants are native to Southern Ontario. Leave Fledglings Where You Find Them Fledglings may spend several days on the ground after they leave the nest and before they can fly. Help them by keeping people and pets away, so their parents can care for them. Learn and Respect Canada’s Bird Laws The federal Migratory Bird Convention Act, and provincial wildlife laws protect birds, their nests and eggs from harm, capture and possession in Canada. It is also illegal to purchase, keep or trade threatened species of wildlife from other countries without permit. Learn more about Canada's bird laws. Make Your City Bird-Friendly City Parks, ravines, and open spaces are natural places for migrant and resident birds. Work with your community to restore the habitat that once existed in your area and reduce risks to birds. Get City Council to recognize International Migratory Bird Day and declare your city “Bird Friendly.” This year the city of Vancouver will recognize a similar significant day for birds - World Migratory Bird Day - with a series of events. Slow Down When Driving Cars kill millions of birds each year. Driving within speed limits gives you more time to respond to animals on the road and sounding your horn warns animals that you are coming and gives them time to get out of the way. Explore this issue in-depth. Buy Bird-Friendly Products Support bird conservation by purchasing shade-grown organic coffee and chocolate from Latin America. Shade coffee farms mimic native forests and support more bird species than sun coffee farms. Be a Citizen Scientist Many projects need helpers to gather data on birds and their habitat. You can contribute just by watching your bird feeder. Visit an Important Bird Area and enter your observations on eBird. Contact your local naturalist group, Nature Canada or Bird Studies Canada, to volunteer for a project that suits you. Reduce Energy Use Riding your bike or walking reduces your carbon footprint and prevents pollution of bird habitats. Switching off the lights in your house saves energy and also helps prevent birds from colliding with your windows. Support Groups that Protect Birds Support groups that work to protect birds by volunteering your time or making a donation. Why not participate in the Baillie Birdathon or le Grand Défi (in Quebec) and join birders in a bird count that supports bird conservation? 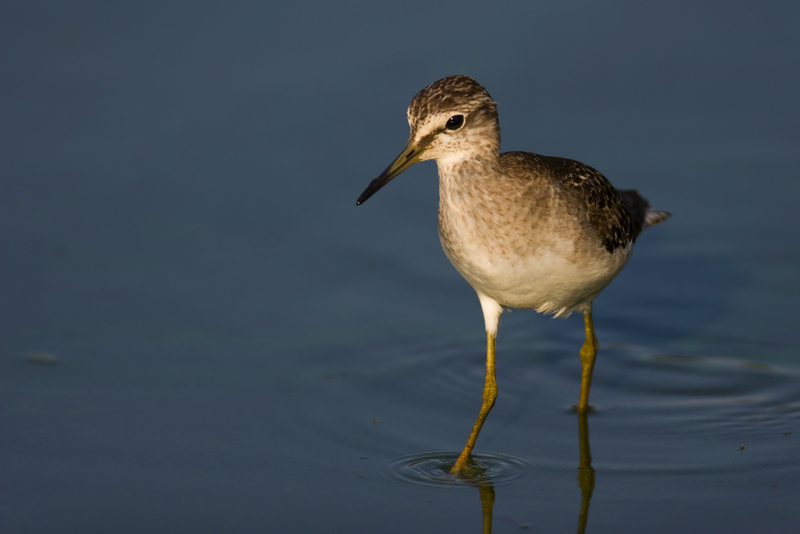 Help keep common birds common and endangered birds protected! Want to learn more about protecting birds? Visit Nature Canada's website for information on bird conservation in Canada and International Migratory Bird Day celebrations. Are you involved in sustainable land-use and/or conservation initiatives in Canada's grasslands region? If so here's an invitation for you or your organization to contribute information to a survey on grassland conservation initiatives in Canada. Nature Canada is conducting this survey to collect information on targeted conservation actions and beneficial practices (see definitions below) that foster grassland biodiversity conservation while providing economic benefits to local communities on the Canadian Prairies. In particular, we are interested in documenting initiatives taking place in Grassland Priority Conservation Areas, shown here. Your contribution to our survey will help to inform grasslands stakeholders throughout North America of the successful tools and approaches available to support biodiversity conservation and socioeconomic benefits in grassland regions. The information compiled through the survey will be made available to grasslands land owners/managers, including First Nations, and other stakeholders as part of a broader two-year initiative being led by the North American Commission for Environmental Cooperation (CEC). This initiative is called “North American Grasslands: Management Initiatives and Partnerships to Enhance Ecosystem and Community Resilience” and spans grasslands in Canada, the USA and Mexico. Grasslands are recognized as perhaps the only truly continental biome in North America and are arguably the landscape most at risk due to impacts from a host of human activities. Fortunately, sustainable management practices that enhance biodiversity conservation and support economically beneficial production in grassland ecosystems are emerging. The CEC’s initiative aims to identify and share these good practices, and develop partnerships that benefit economic activities as well as the viability of this critical ecosystem. Targeted conservation actions: Includes any coordinated measures intended to reduce, mitigate, prevent or reverse negative impacts on grasslands biodiversity (individual species, habitats or whole ecosystems). Such actions could range from education/awareness-building efforts to on-the-ground activities focused on conserving a species and/or its habitat. Beneficial practices: Includes any coordinated agricultural or other land-use practice intended to reduce, mitigate, prevent or reverse negative impacts on grasslands biodiversity (individual species, habitats or whole ecosystems). Such practices could include alternative grazing or mowing regimes that benefit forage production and grassland biodiversity. 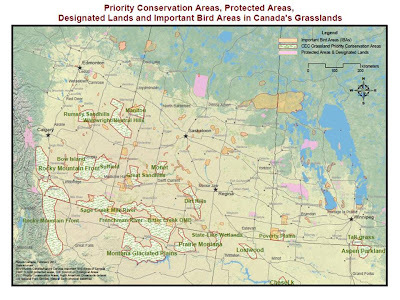 The information collected through the survey will be compiled into a database, which will then be analyzed to determine if and where there are gaps in efforts to support biodiversity conservation in Canada’s grasslands. 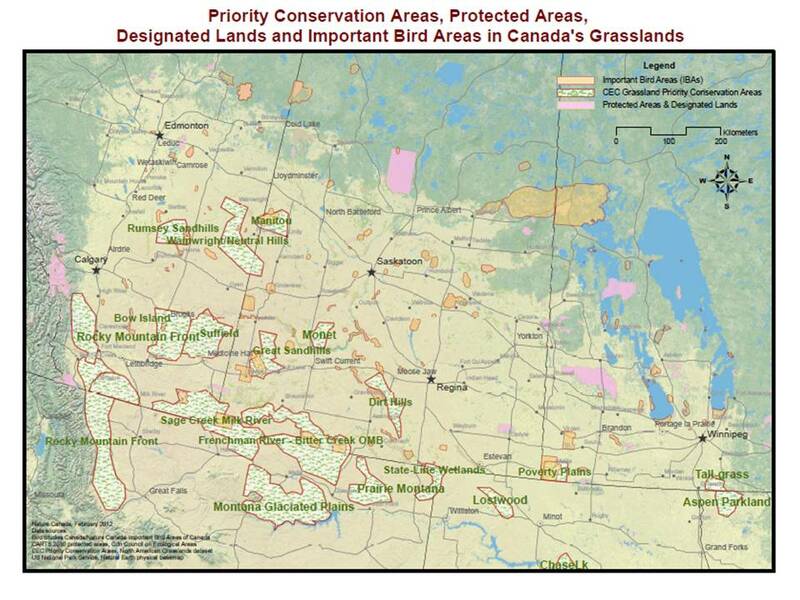 The information will also be used to generate maps (where appropriate) showing where conservation initiatives are taking place relative to CEC’s Grassland Priority Conservation Areas, Important Bird Areas and designated conservation lands (e.g., protected areas, private conservation lands). The survey should only take 10-15 minutes to complete and can be accessed until April 5, 2012. If you would prefer to provide information by other means or have any questions about this initiative, please do not hesitate to contact me at your convenience using the information below. 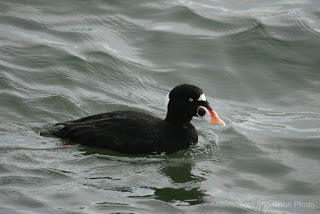 In a special guest post, Kerry Finley (also known as James Finley), Important Bird Area Caretaker for the Sidney Channel IBA and Coastal Waterbird Survey Volunteer, shares his observations of an iconic Canadian bird. As an IBA Caretaker, James is the eyes, ears and feet on the ground at his IBA. Nature Canada and Bird Studies Canada co-deliver BirdLife's IBA Program in Canada. 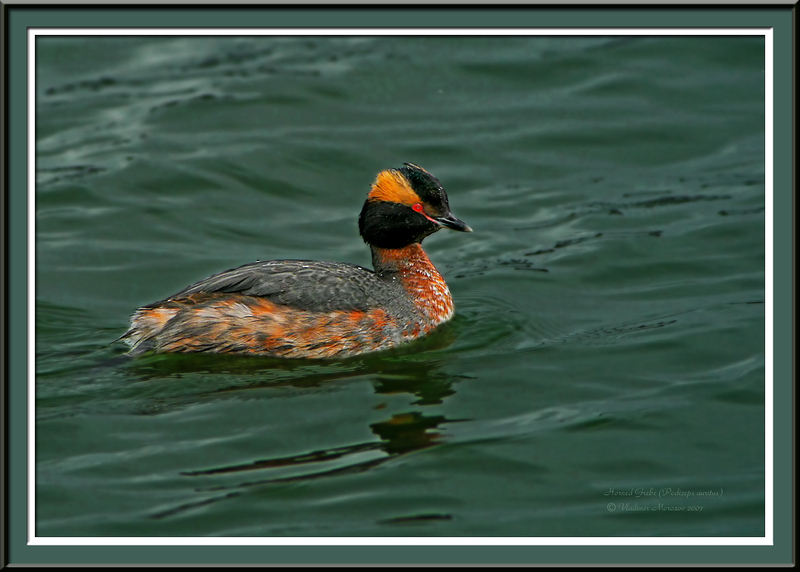 Coastal areas of British Columbia are recognized for their regional and international importance for numerous migratory waterbirds, including various loon, grebe, cormorant, heron, duck, gull, tern and seabird species. During the winter, waterbirds are attracted to BC’s relatively moderate climate, extensive estuaries, tidal flats, and near-shore protected habitats. Shoal Harbour Migratory Bird Sanctuary and the adjacent Sidney Channel Important Bird Area support a diversity of habitats and migratory birds. These species are dependent on the ecological processes that support a diversity of forage fishes and invertebrates. 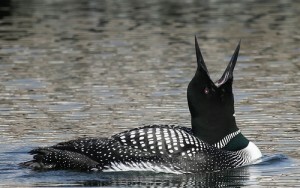 The Common Loon is a consummate fisher, highly dependent on various small fish species. Its presence and abundance is a good reflection of the health of the marine ecosystem. 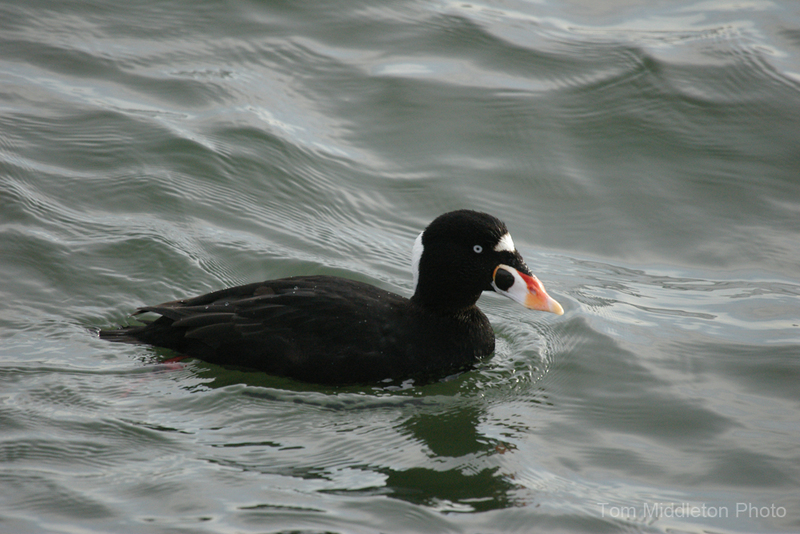 The results of 79 monthly waterbird counts at Roberts Bay, which is part of Shoal Harbour Sanctuary in the southern Salish Sea, show a long term decline of this species. Last winter, for the first time, not a single loon was detected during the surveys, and except for two observed in September 2010, none were seen during casual daily observations in the sanctuary. At one time Common Loons were observed every day in the sanctuary. These observations suggest that something drastic has happened to the ecosystem affecting their fish prey. The Pacific Loon and the Red-throated Loon have also declined in abundance at this site, as well as the Horned Grebe, the Red-necked Grebe and the Western Grebe which are all piscivores, or fish eating birds. After several years of surveying the same site, Coastal Waterbird Volunteers become very familiar with the seasonal patterns in bird abundance and distribution at their site, noticing yearly differences which can be useful to track over time. Coastal Waterbird data is available to any volunteer to download for their site, or any of the sites, through Nature Counts at www.naturecounts.ca.As the national sponsor of the Important Bird Area Caretaker Network, TransCanada Corporation committed $1 million in 2009 to support bird conservation efforts in Canada over the following five years. Watch an interview with Kerry at the Shoal Harbour Migratory Bird Sanctuary. This article first appeared in Bird Studies Canada’s December 2011 newsletter. Public hearings continue as Canadians voice their concerns about Enbridge's proposed Northern Gateway Pipeline. In addition to the roughly 4,000 citizens who have signed up to take part, thousands have also written letters to Prime Minister Stephen Harper and other elected officials with a clear message that this pipeline is not in the public's interest. That certainly holds true for B.C. 's wildlife too. Last week, I summarized the risk that artificial lights – from tankers, towers and other infrastructure – pose to marine and migratory birds. But there’s another highwire hazard B.C.’s birds could face: Collisions by birds with power lines are a cause of mortality in many species. In written evidence submitted by Nature Canada and BC Nature to the joint review panel, we highlighted a few of the many studies that show this risk: A review by Golder Associates (2009) notes that "fatal impact from transmission lines have been recorded in 350 species of birds worldwide and in some cases the level of fatalities are speculated to have contributed to declines in local and regional bird populations.” In another 2005 review of avian collisions, Erickson et al. summarized that “waterfowl including ducks, geese, swans, cranes, and shorebirds appear to be most susceptible to collisions when powerlines are located near wetlands.” A 2010 review published in Bird Conservation International examined the issue at a global scale and concluded that “many large ... wetland birds and some smaller, fast-flying species are prone to colliding with overhead wires... waterfowl, shorebirds... are among the most frequently affected avian groups and collision frequency is thought to be an influential factor in ongoing population declines in several species.” Similarly, a 2001 study for Prince Edward Island Energy Corporation noted that “birds that fly fast in tight flocks at low altitudes such as waterfowl and shorebirds appear to be particularly susceptible to collisions with wires ... raptors are also frequent victims of wire kills.” Wires as collision hazards are especially important where raptors, like bald eagles, concentrate – places like salmon streams, or migration and staging areas. Young birds learning to fly are also particularly vulnerable. The Kitimat estuary and marine waters, where Enbridge proposes to establish its port for oil tankers, is just the kind of migration and staging area that should be avoided. Yet despite overwhelming evidence that collisions with wires can be a significant cause of mortality in marine birds, Enbridge dismisses the issue as so rare as to not merit attention. None of the so-called "key indicator" species -- those species that, in Enbridge’s view are representative enough of all marine birds to be included in their impact studies -- were shorebirds, yet it is shorebirds in particular that face danger from collisions with wires. As the rhetoric grows and the heat rises on this highly contentious project, it’s important that those without a voice of their own – B.C.’s marine wildlife – are not forgotten. You can lend your voice to the cause by sharing your opinions with Canada’s Prime Minister. For those who don't already know, Nature Canada is one of those radical groups opposing the Enbridge Northern Gateway Pipeline project. And while many have offered intelligent, well-stated rebuttals to this odd claim (try this, and this), we all know such talk is a diversion. The real issue is the project itself, and whether it's in the public interest. 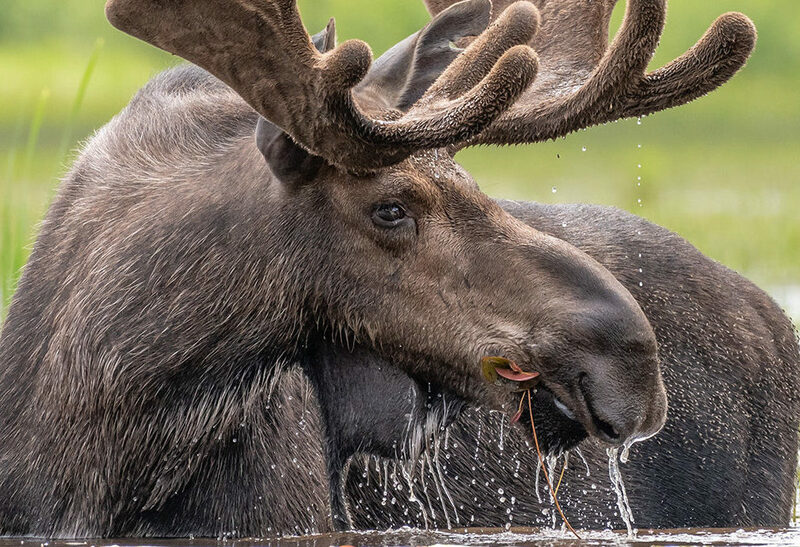 As an official intervenor, we've submitted written evidence, with BC Nature, that argues Enbridge has failed to adequately consider the potential effects of the project on marine birds, birds listed under the Species at Risk Act, Important Bird Areas and Woodland Caribou. For those not inclined to read the nearly 100 pages of scientific analysis -- but who still wish to be informed about this, one of the largest proposed infrastructure projects in recent memory, we'll break it down in manageable bits for you. So let's get started. The negative impacts of artificial lights on marine birds – loons, grebes, albatrosses, geese, swans, terns among others – are well documented. Lights cause birds to veer off their normal migratory pathway, or delay migration. Birds can circle platforms for extended periods, collide with lighted structures, or even become so disoriented they collide with the ground. Birds have large eyes and optic lobe which provides them with excellent vision; birds that are active at night sport retinas containing a compound that enables superior night vision. 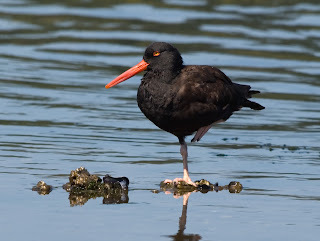 Marine birds have an additional aid; an internal magnetic compass helps them to navigate during migration between breeding and wintering areas. But red light is exceptionally attractive to marine birds and interferes with the magnetic compass, causing disorientation. That’s why lights from, say, an oil platform can be bad news for marine birds indeed. Artificial light may also expose seabirds to predators that wouldn’t otherwise see them. In fact, the nocturnal behaviour of many species at their breeding colonies is thought to be an adaptation to decrease predation, and birds keep activity to a minimum at the colonies on moonlit nights. 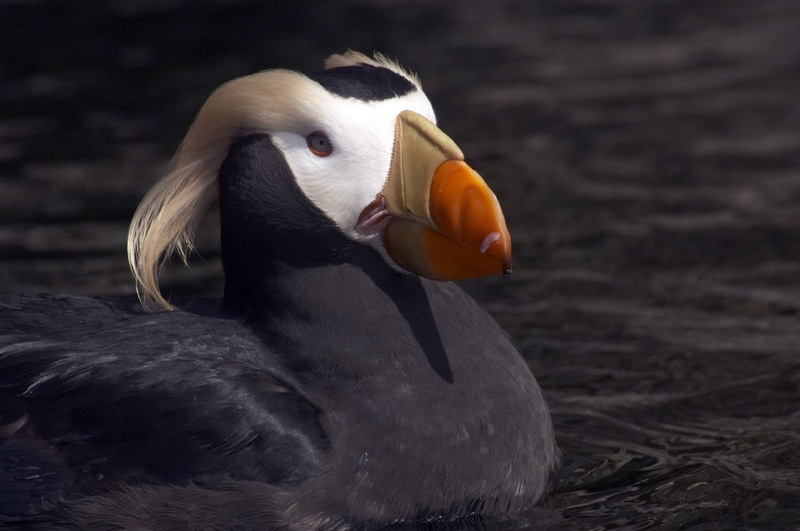 The proposed shipping route for the Enbridge Northern Gateway Project passes in close proximity to significant marine bird breeding colonies, effectively trumping the birds’ best laid defensive efforts. Enbridge dismisses effects on marine birds of lights as “rare and short-term.” However, reports of impacts on marine birds of artificial lights on moving or anchored vessels are readily available in the literature or through discussion with local fishermen. Enbridge could even look to earlier, similar project assessments. The negative impact of artificial light on marine birds is a widespread, well-known phenomenon. The dismissal by Enbridge of impacts of artificial lights at the terminal, on moving vessels and on vessels at anchor as a cause of death or injury to marine birds is indefensible in light of the state of knowledge about this issue. This is just one way in which the Enbridge Northern Gateway Pipeline project poses risks too great to nature; it’s by no means the only one. We'll highlight others in upcoming blog posts.The information summarized above is based on our formal submission to the panel; the section on marine birds was written by Anne Harfenist, an expert on marine bird ecology, demography and behaviour with a 31-year career in bird conservation. For more information, and sources used, read our written evidence.